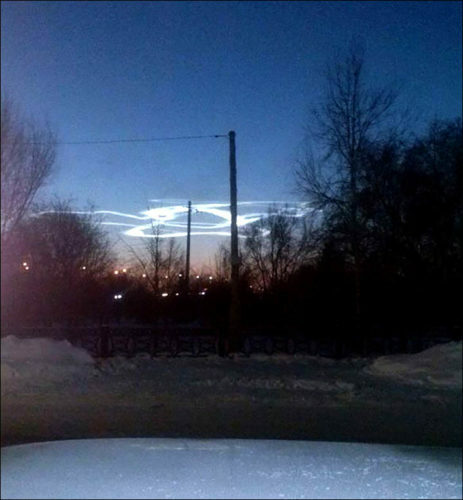 You probably wonder what these strange glowing clouds spotted above Siberia on December 15, 2014 are! This is rocket art! 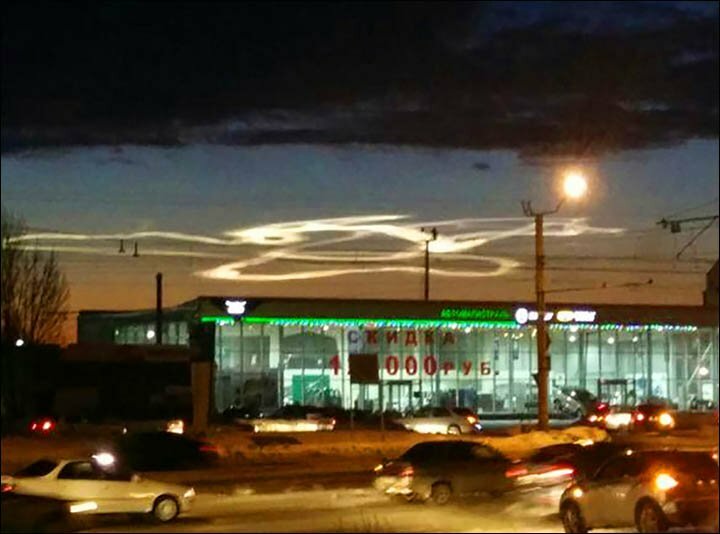 The mysterious cloud formation appeared just minutes after a Proton-M was launched from the Baikonur Cosmodrone. 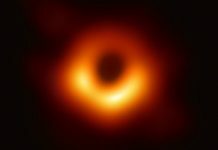 But still! 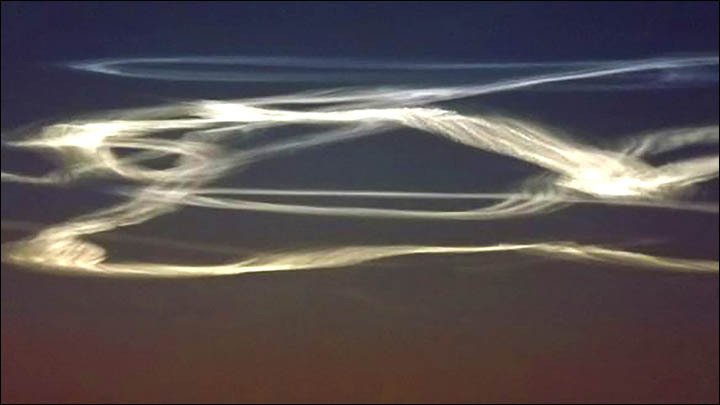 Look at these vapour trail castings ghostly, strange-shaped, spiraling spectre clouds above Altai just after rocket carrying satellite blasts off into space. They are amazing. Glowing orange as it was touched by the rays of the rising sun, it cast a ghostly spectre against the clear winter sky. 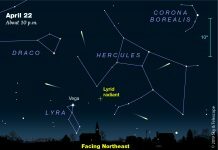 Of course many started speculating about the possibility of UFOs visiting the southern Altai region, Russia. 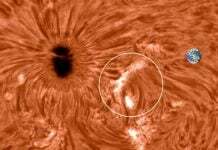 Although no official confirmation has been given, it was almost certainly made by parts of the rocket falling to earth as it powered into orbit during the second stage disengagement. 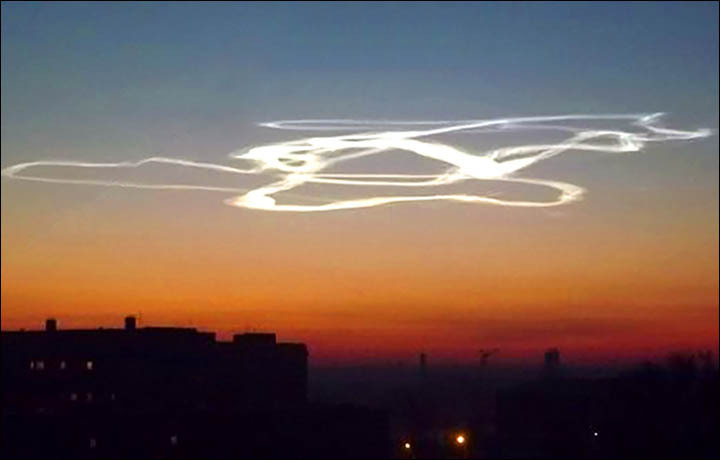 To me this mysterious glowing cloud is similar to those spotted in Norway and Japan. 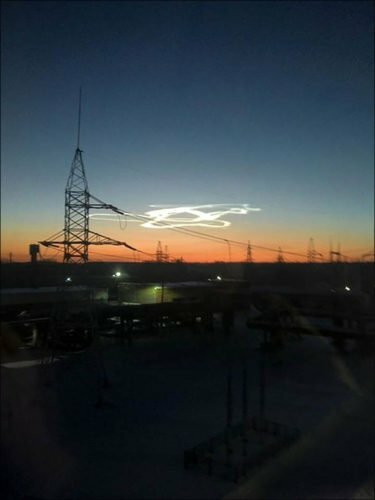 The Proton-M rocket was launched from the Baikonur Cosmodrone at 6.16am on December 15, carrying a Yamal-401 satellite. The strange cloud formation appeared just minutes after creating this eerie landscape!